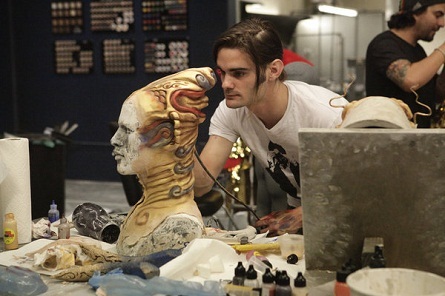 Syfy announced today its 2012 fall programming that will include the first ever live “Face Off” episode which will close the annual month-long 31 Days of Halloween scar-a-thon! Syfy programming leading-up to the “Face-Off” live finale includes: Paranormal Witness, American Horror House, Rise of the Zombies, Scare Tactics, a special preview episode of Total Black Out, and new original series Viral Video Showdown. In the “Year of the Dragon” episode, Alana risks not completing her challenge with partner Laura when she gets an unexpected set-back in this sneak-peek episode three video clip!